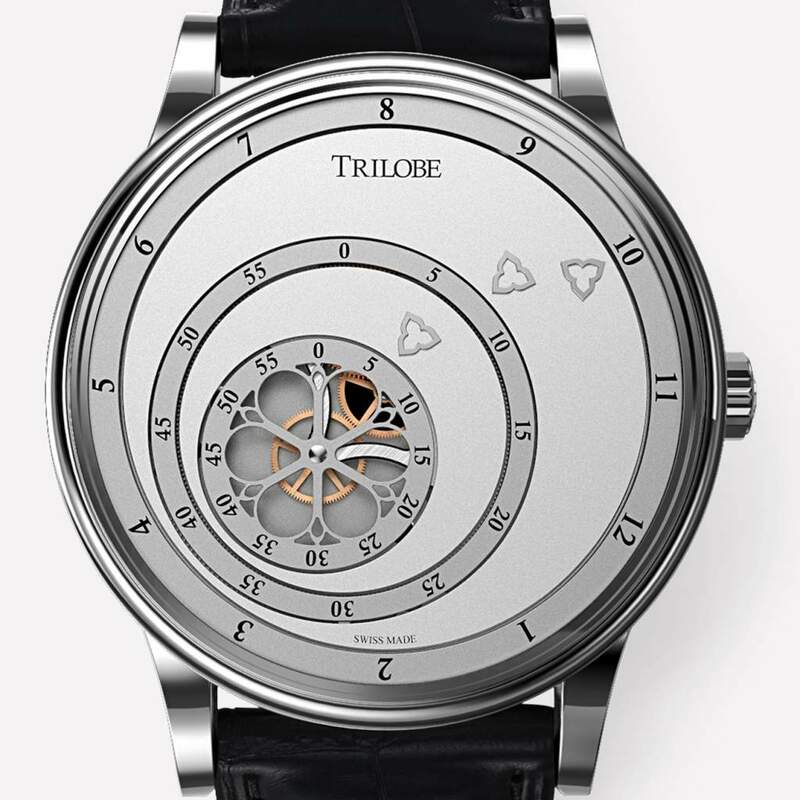 If you go to the website of new Le Locle based watch brand Trilobe, you will see the following – “The inaugural series “Les Matinaux” will be unveiled in September 2018”. The fact that their first watch has not yet been launched has not stopped them from submitting it for competition in the ‘Petite Aiguille’ category for GPHG 2018. Born from the friendship of Trilobe founder Gautier Massonneau and renowed watchmaker Jean-François Mojon, famed for his collaborations with MB&F, HYT, Urban Jürgensen, Czapek and others, the Trilobe brand is going to launch with an inaugural series called Les Matinaux, that plays with time display. 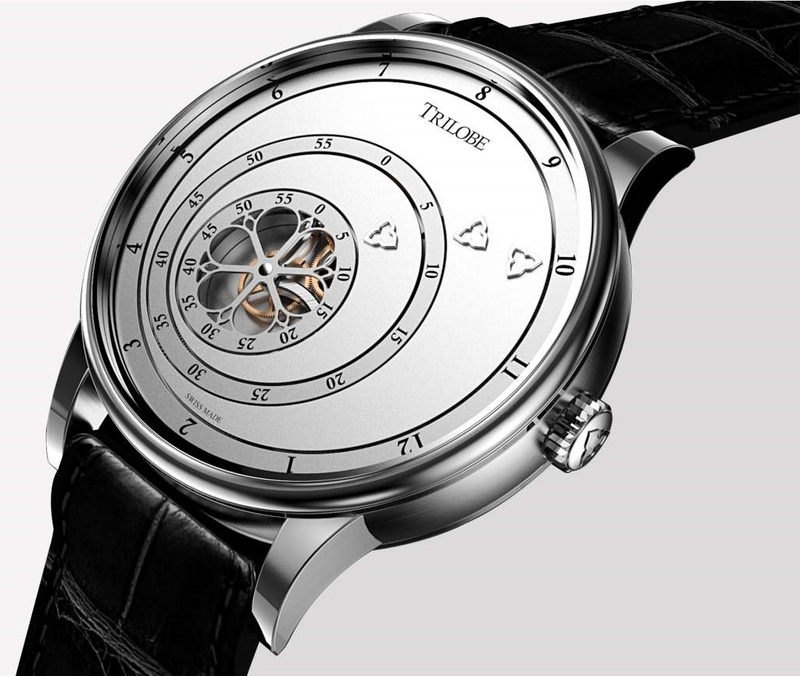 The movement to be used in the Trilobe is a base automatic ETA2892-A2 with a module made for Trilobe by Chronode SA. Thus it still beats at 28,800VPH, and it has a power reserve of forty-two hours. The movement, with minimal decoration, will be visible through an open case back. The patented Trilobe dial format displays time through three fixed markers (the trilobes of the name) pointing to eccentric moving rings. The three rings are, from largest to smallest – hours, minutes, and seconds. The small seconds ‘Grande Rosace’ (rosette) display provides an almost delicate counterpoint to the clean lines of the dial. The dial will be available in three colour variants : silver, anthracite, and blue. Coming in a 41.5 mm x 11.8 mm stainless steel case with a water resistance of 50m, it will come on a leather strap. Available from September 2018, the Les Matinaux will be limited to 100 numbered pieces (in total) for the year 2018. The price will be 7,550 CHF including VAT. Those of you who have been readers of Horologium for awhile know that we do like an interesting nontraditional time display format, and this is a cool looking new piece at an interesting price point. To sign up for updates about its release, go to the Trilobe website at this link. For those unfamiliar with Jean-François Mojon, apart from a storied history that includes the development and creation of IWC’s Portugieser Sidérale Scafusia, he is perhaps best known for being the founder of Chronode. Chronode (which merged in 2014 with Compagnie Horlogère to create Chronode SA), specialises in watch movement R&D and the creation of movements for watch brands, but they also design and develop watches. 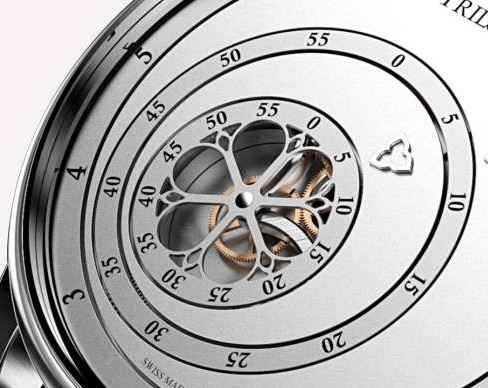 For example, the LM1 for MB&F includes a movement jointly developed by Jean-François Mojon and Kari Voutilainen, and there are also the LM2 and HM5. As well, he co-developed the HYT H1 movement, Harry Winston’s Opus X, Czpek’s Quai des Bergues collection uses the Czapek SXH1 movement, co-developed with Chronode, was behind the Brevia Genie 1, Urban Jürgensen Chronometer Detent Escapement P8, and the MCT Sequential 1. 30 August 2018 : amendments made to post with new information that the watch does not in fact use a completely Chronode movement, but that it is a Chronode module, with the case back see-through.